PDF (Portable Document Format) is a useful document format for viewing, printing and setting up more security upon it. If you need to get the PDF as a DOC/DOCX file, you should have to use a converter software which will create new document contains all properties of the PDF file. Here we will know the best and easy way to convert a PDF file to Word document. And of course, this is a free and offline (without internet connection) method to do that. The Free PDF to Word Document Converter (at present, only available for Windows OS) let you convert your PDF file to MS office word (doc/docx) and WordPad (txt/rtf) format. 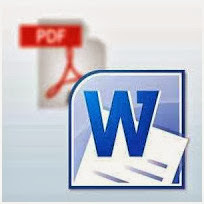 First of all download the Free PDF to Word Document Converter from here and then install it. Open it and you will find a really very simple UI to get understood it easily. For conversion, at firstBrowse the PDF file and then select the Output word file path. Now from General Option you can either select All pages for converting all pages or you can set the Page Number to be converted. You can also choose the Retains Shape and Image, Use Text-Box and Fonts. If the Uses Text-box is selected then every sentence of the converted doc file will be remain in a box. Before converting select the Doc Reader, below the progress bar. Press on Convert to Word Document and within a glance file will be converted.After converting it will open your Word file. Just save this file as a .doc or .docx file. Wasn’t it very simple? So share it. Don’t you think that? You must getting trouble. Let me know that and leave a comment.